"From the Great Inflation to the Great Recession and Beyond: The Interplay of Monetary Theory and Policy"
Former Federal Reserve Chairman Ben Bernanke in 2004 called a paper by Walsh "one of the three most influential papers in macroeconomics over the past 25 years." The lecture is the public component of the Faculty Research Award, the highest honor bestowed on faculty members by their peers in the Academic Senate. Walsh's talk, entitled "From the Great Inflation to the Great Recession and Beyond: The Interplay of Monetary Theory and Policy," will begin at 7 p.m. in the Music Center Recital Hall. The talk is free and open to the public. Walsh, an expert on central banking and monetary policy, will discuss the impact of academic research in monetary economics and the actions of central banks—and vice versa. "Over the past 50 years, the U.S. and other industrialized economies have experienced the Great Inflation of the 1970s, the Great Moderation that stretched from the mid-1980s to 2007, and the financial crisis and Great Recession of 2008-09," said Walsh. "The actions of central banks such as the Federal Reserve during each of these episodes have been influenced by academic research—and research has been affected by lessons drawn from policy actions." Walsh will trace the two-way interactions that have played out over five decades and discuss the implications for business cycles, unemployment, and inflation of today's environment, in which monetary theory and policy are divorced from money. Walsh is one of the world's leading researchers in the field of monetary theory and monetary policy. His scholarship on central bank governance, optimal monetary policy, and inflation targeting have helped set the research agenda for monetary economists for more than 30 years. In addition, he has played an influential role in the way the U.S. Federal Reserve Bank and central banks abroad conduct monetary policy. Former Federal Reserve Chairman Ben Bernanke in 2004 called a paper by Walsh "one of the three most influential papers in macroeconomics over the past 25 years." That paper, about optimal contracts for central bankers, is now known as the "Walsh Contract." Tony Blair's government cited a 1995 Walsh paper as it reformed the Bank of England. 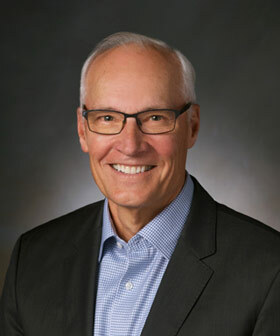 Before joining the Economics Department in 1987, Walsh served as a senior economist at the Federal Reserve Bank of San Francisco, where he has since worked as a visiting scholar. He is the author of the graduate-level textbook Monetary Theory and Policy, now in its fourth edition, as well as the classic undergraduate textbook Economics, coauthored with Nobel Prize winner Joseph Stiglitz.